The concept of aesthetics has been the interest of philosophers such as Plato, Hume and Kant, who understood aesthetics as something pure and searched the essence of beauty, or, the ontology of aesthetics. But it was not before the beginning of the cultural sociology of early 19th century that the question was problematized in its social context, which took the differences and changes in historical view as an important process of aesthetical thought. 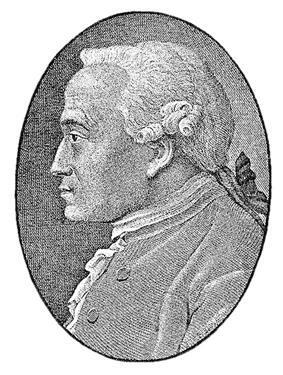 Although Immanuel Kant's Critique of Judgement (1790) did formulate a non-relativistic idea of aesthetical universality, where both personal pleasure and pure beauty coexisted, it was concepts such as Social class taste that began the attempt to find essentially sociological answers to the problem of taste and aesthetics. Metaphysical or spiritual interpretations of common aesthetical values have shifted towards locating social groups that form the contemporary artistic taste or fashion. Simmel, who noted that the upper classes abandon fashions as they are adopted by lower ones. Definition of consumption in its classical economical context can be summed up in the saying "supply creates its own demand". In other words, consumption is created by and equates itself to production of market goods. This definition, however, is not adequate to accommodate any theory that tries to describe the link between taste and consumption. In above taste has been seen as something that presupposes consumption, as something that exists before consumer choices. In other words, taste is seen as an attribute or property of a consumer or a social group. Alternative view critical to the attributative taste suggests that taste doesn't exist in itself as an attribute or a property, but instead is an activity in itself. This kind of pragmatic conception of taste derives its critical momentum from the fact that individual tastes can not be observed in themselves, but rather that only physical acts can. Building on Hennion, Arsel and Bean  suggest a practice-theory approach to understanding taste. The Western culture of consumerism has been criticized for its uniformity. While the culture industry promises consumers new experiences and adventures, people in fact are fed the same repeating pattern of swift but temporary fulfillment of needs. Here taste can be seen as a means of repression that, as something that is given from above or from the industry of the mass culture, makes people devoid of contentual and extensive ideologies and of will. This critique therefore insists that the popular Western culture depicts taste that eventually does not fill people with aesthetic and cultural satisfaction. The German sociologist fashion - as manifested in rapidly changing patterns of taste. According to Simmel, fashion is a vehicle for strengthening the unity of the social classes and for making them distinct. 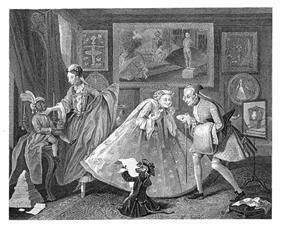 Members of the upper classes tend to signal their superiority, and they act as the initiators of new trends. But upper-class taste is soon imitated by the middle classes. As goods, appearances, manners etc. conceived as high-class status markers become popular enough, they lose their function to differentiate. So the upper classes have to originate yet more stylistic innovations. Arsel, Zeynep; Jonathan Bean (2013). "Taste Regimes and Market-Mediated Practice". Journal of Consumer Research. Ekelund, Jr., Robert B.; Hébert, Robert F. (1990). A History of Economic Theory and Method. 3rd ed. New York: McGraw-Hill Publishing Company. Gronow, Jukka (1997). Sociology of Taste. London: Routledge. Horkheimer, Max; Adorno, Theodor W (1982). Dialectic of the Enlightenment. New York: The Continuum publishing Corporation. Slater, Don (1997). Consumer Culture and Modernity. Cambridge: Polity Press. Stern, Jane; Michael Stern (1990). The Encyclopedia of Bad Taste. New York: Harper Collins.